These lessons are designed to keep you engaged with the process of learning C# basics. Our main focus will be on learning C# basics. 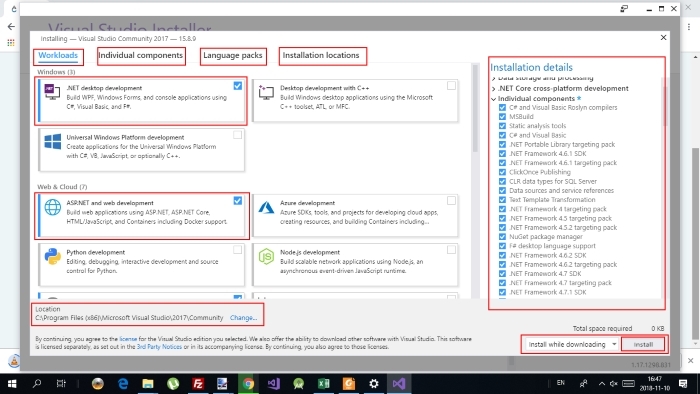 In this lesson, you will learn how to download and install Visual Studio Community 2017. This free version of Visual Studio is essentially the same package that you would get with the paid Professional edition - giving you access to the full selection of extensions and toolsets. The only differences between the free and paid versions are in the licensing guidelines. If you are using Visual Studio within a large team project, or an enterprise business, you are required to purchase the Professional license. Otherwise you can enjoy all of the benefits found in the paid version by using the free version. 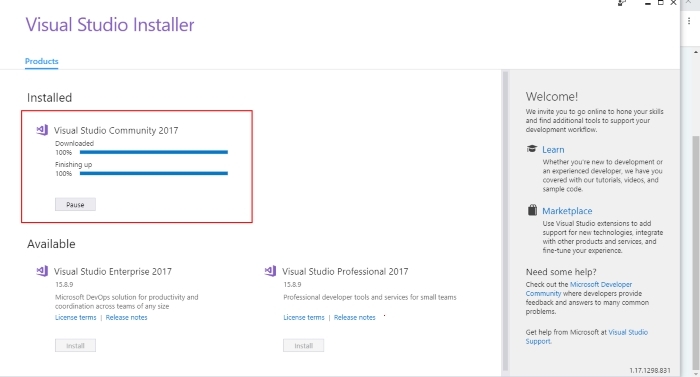 1.Prepare your PC for Visual Studio Community 2017. Before proceeding with the installation of Visual Studio, you should first make sure that your operating system (OS) is up to date by downloading and installing any Windows Updates that are available to you. Keep in mind that you can use Visual Studio on either Windows 7, Windows 8 or Windows 10, but we are going to assume that you are running the latest Windows OS (Windows 10). 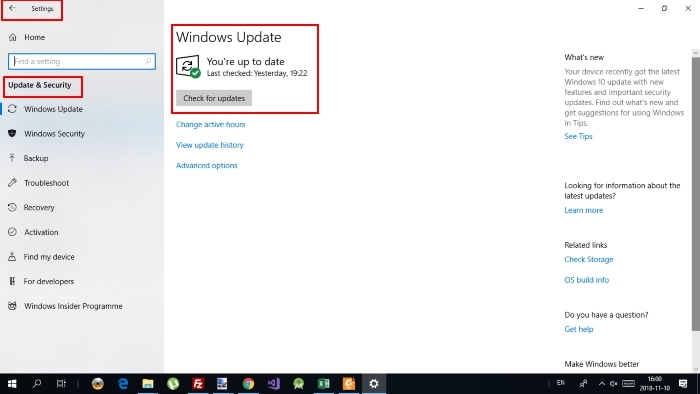 Go to Settings -> Update & Security -> Windows Update and select Check for Updates. Download and install any available updates for Windows before proceeding. 2. 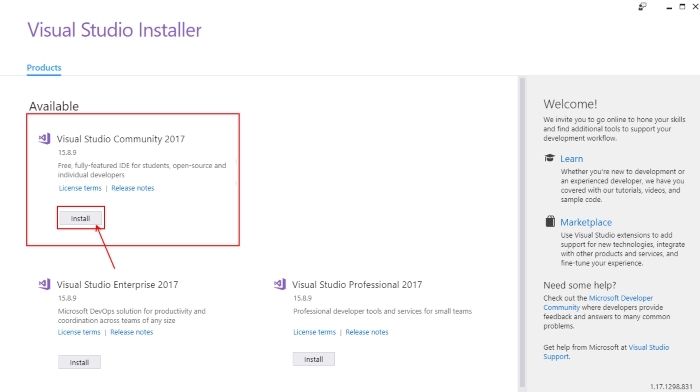 Downloading Visual Studio Community 2017. 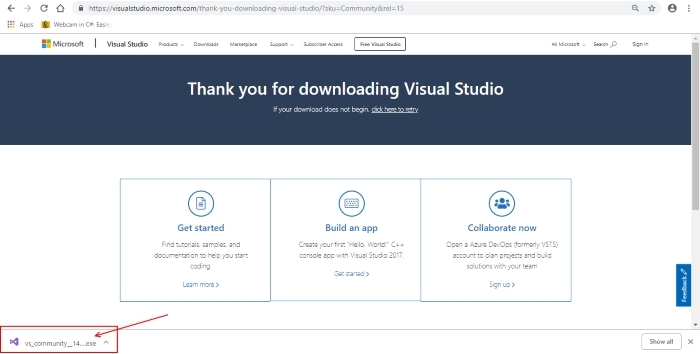 This will take you to the download page for the current version of Visual Studio Community. Click on Download VS Community 2017 button. Once you have downloaded the installer, go ahead and run it. 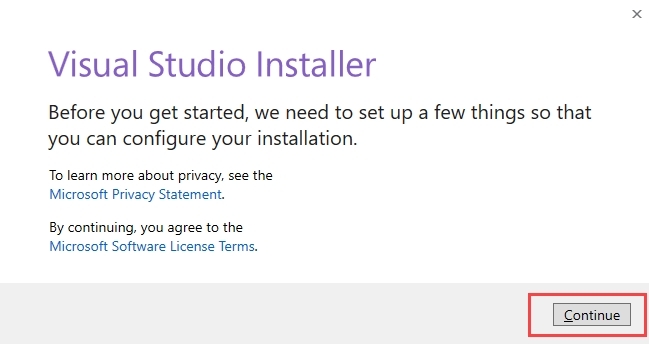 The installer itself is very small but when it runs it will grab everything it needs from Microsoft's servers in order to completely install Visual Studio locally onto your computer. Once you have downloaded the installer, go ahead and run it - just double-click on downloaded exe file and click on Yes button to give access. 3. 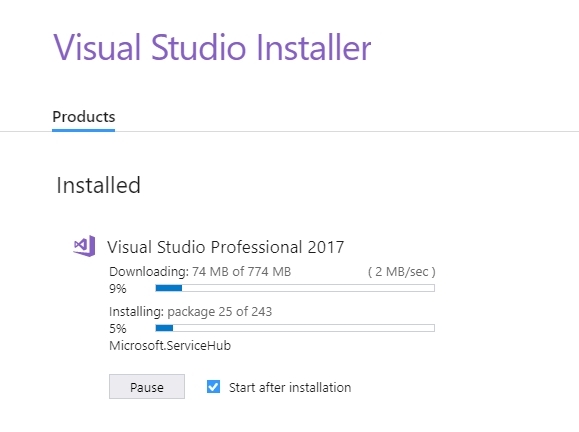 Installing Visual Studio Community 2017. Click on Continue button. 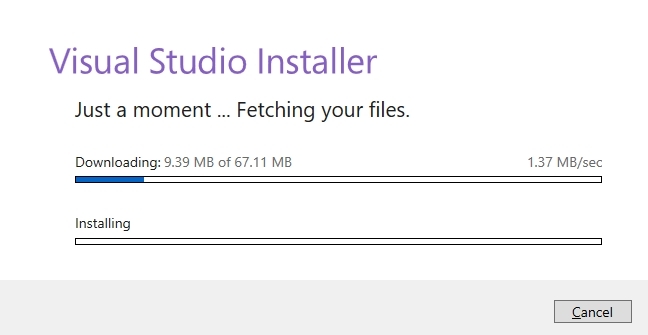 Visual Studio will start downloading the initial files. Download speed will vary as per your internet connection. 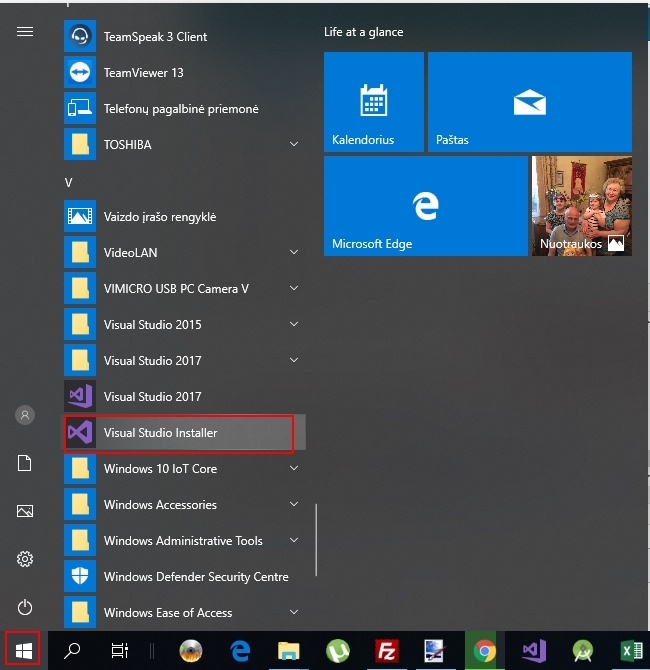 Click on Install button of Visual Studio Community 2017. Select components from Workloads, Individual Components, Language packs and click on Install button. Please note that you can also change the installation locations if required to do so. Visual Studio will download the relevant files based on the selection. Once the download is done, you will be asked to reboot the PC. After reboot completed open the Visual Studio IDE. 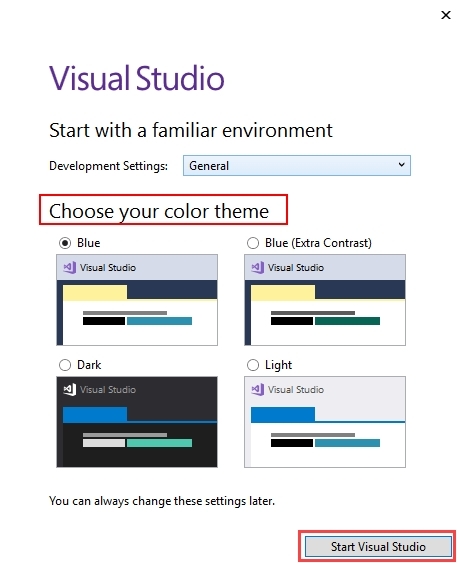 Select a theme of your choice and click on Start Visual Studio button. 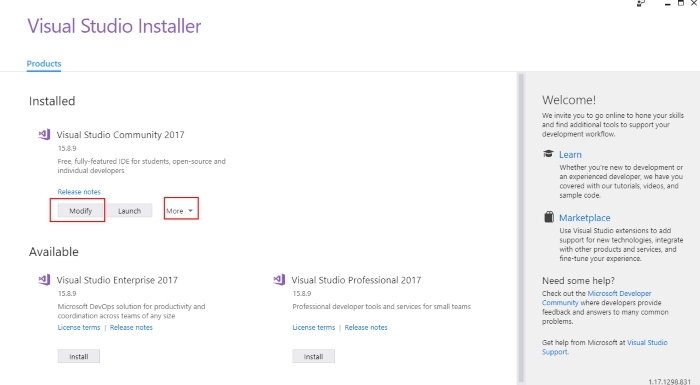 If you want to modify components or update your version of Visual Studio Community 2017 go to Start and find Visual Studio Installer. Click on it and then click on Yes button to give access. 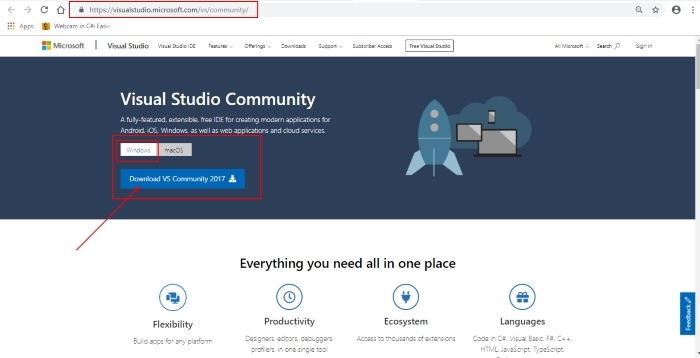 Click on Modify button of Visual Studio Community 2017. You have the options Repair and Uninstall in More menu. Select required component and click on Modify button. It will be downloaded and installed. Easy to create, edit and navigate different files or applications. Visual studio includes an excellent debugger that allows you to debug code easily. Step through the application code to understand it line by line, or identify problems in your code. Intellisense support for .Net Framework classes or custom classes. Nuget support for installing thrid party API/plug-ins in an application. Supports integration with many other third-party productive utilities which enhense the development quality and speed. Easy to configure, build and publish .NET applications. Provides ALM (Application Life-cycle Management) support for different phases of the development. That should cover the entire installation process for all of the tools you will need moving forward. If you happen upon an installation error during this process, you have some options available to you in order to diagnose and resolve the issue. Often simply rebooting your computer will fix the issue. However, if that doesn't fix the error, first try to find the solution by using a search engine, making sure to include in your search query the exact error message or error code that you encountered. Keep in mind that there are helpful people in the community who are called "Microsoft Most Valuable Professionals" (MVP's). They are awarded this title as an acknowledgment of their dedication to helping people, such as you, solve problems. To make their job easier, make sure that your question includes the entire error message, including any numerical codes that are provided. Also, be sure to include the operating system that you're currently using as well as any other pertinent details. Also, be sure to mention everything you have tried to remedy the problem, so that steps that previously failed are not repeated.